More informasjon about the ArcticABC project can be found here. I also have a personal page at the ARCTOS network here. Renaud, Paul Eric; Daase, Malin; Banas, Neil S.; Gabrielsen, Tove M.; Søreide, Janne; Varpe, Øystein; Cottier, Finlo Robert; Falk-Petersen, Stig; Halsband-Lenk, Claudia; Vogedes, Daniel Ludwig; Heggland, Kristin; Berge, Jørgen. Pelagic food-webs in a changing Arctic: a trait-based perspective suggests a mode of resilience. ICES Journal of Marine Science 2018; Volum 75 (6). ISSN 1054-3139.s 1871 - 1881.s doi: 10.1093/icesjms/fsy063. Meyer, Kirstin S.; Sweetman, Andrew K; Kuklinski, Piotr; Leopold, Peter; Vogedes, Daniel Ludwig; Berge, Jørgen; Griffith, Colin; Young, Craig M; Renaud, Paul. Recruitment of benthic invertebrates in high Arctic fjords: Relation to temperature, depth, and season. (fulltekst) Limnology and Oceanography 2017; Volum 62. ISSN 0024-3590.s 2732 - 2744.s doi: 10.1002/lno.10602. Berge, Jørgen; Geoffroy, Maxime; Johnsen, Geir; Cottier, Finlo Robert; Bluhm, Bodil; Vogedes, Daniel Ludwig. Ice-tethered observational platforms in the Arctic Ocean pack ice. IFAC-PapersOnLine 2016; Volum 49 (23). ISSN 2405-8963.s 494 - 499.s doi: 10.1016/j.ifacol.2016.10.484. Berge, Jørgen; Daase, Malin; Renaud, Paul; Ambrose, William G. Jr.; Darnis, Gérald; Last, Kim S; Leu, Eva; Cohen, Jonathan H.; Johnsen, Geir; Moline, Mark A.; Cottier, Finlo; Varpe, Øystein; Shunatova, Natalia; Morata, Nathalie; Balazy, Piotr; Massabuau, Jean Charles; Falk-Petersen, Stig; Kosobokova, Ksenia; Hoppe, Clara J.M. ; Weslawski, Jan Marcin; Kuklinski, Piotr; Legeżyńska, Joanna; Nikishina, Daria; Cusa, Marine; Kedra, Monika; Wlodarska-Kowalczuk, Maria; Vogedes, Daniel Ludwig; Camus, Lionel; Tran, Damien; Michaud, Emma; Gabrielsen, Tove M.; Granovitch, Andrei; Gonchar, Anya; Krapp, Rupert; Callesen, Trine A.. Unexpected levels of biological activity during the polar night offer new perspectives on a warming Arctic. Current Biology 2015; Volum 25 (19). ISSN 0960-9822.s 2555 - 2561.s doi: 10.1016/j.cub.2015.08.024. Vogedes, Daniel Ludwig; Eiane, Ketil; Båtnes, Anna Solvang; Berge, Jørgen. Variability in Calanus spp. abundance on fine- to mesoscales in an Arctic fjord: implications for little auk feeding. Marine Biology Research 2014; Volum 10 (5). ISSN 1745-1000.s 437 - 448.s doi: 10.1080/17451000.2013.815781. Gabrielsen, Tove M; Merkel, Benjamin; Søreide, Janne; Johansson-Karlsson, Emma; Bailey, Allison; Vogedes, Daniel Ludwig; Nygård, Henrik Andreas; Varpe, Øystein; Berge, Jørgen. Potential misidentifications of two climate indicator species of the marine arctic ecosystem: Calanus glacialis and C. finmarchicus. Polar Biology 2012; Volum 35 (11). ISSN 0722-4060.s 1621 - 1628.s doi: 10.1007/s00300-012-1202-7. Vogedes, Daniel; Varpe, Øystein; Søreide, Janne; Graeve, M; Berge, Jørgen; Falk-Petersen, Stig. Lipid sac area as a proxy for individual lipid content of arctic calanoid copepods. Journal of Plankton Research 2010; Volum 32 (10). ISSN 0142-7873.s 1471 - 1477.s doi: 10.1093/plankt/fbq068. Berge, Jørgen; Cottier, Finlo; Last, Kim S.; Varpe, Øystein; Leu, Eva; Søreide, Janne; Eiane, Ketil; Falk-Petersen, S.; Willis, Kate; Nygård, Henrik; Vogedes, Daniel; Griffiths, Collin; Johnsen, Geir; Lorentzen, Dag Arne; Brierley, A.S.. Diel vertical migration of Arctic zooplankton during the polar night. (omtale) Biology Letters 2009; Volum 5 (1). ISSN 1744-9561.s 69 - 72.s doi: 10.1098/rsbl.2008.0484. Daase, Malin; Eiane, Ketil; Aksnes, D.L. ; Vogedes, Daniel. Vertical distribution of Calanus spp. and Metridia longa at four Arctic locations. Marine Biology Research 2008; Volum 4 (3). ISSN 1745-1000.s 193 - 207.s doi: 10.1080/17451000801907948. Steen, H.; Vogedes, Daniel; Broms, F.; Falk-Petersen, S.; Berge, Jørgen. Little auks (Alle alle) breeding in a High Arctic fjord system: bimodal foraging strategies as a response to poor food quality?. Polar Research 2007; Volum 26 (2). ISSN 0800-0395.s 118 - 125.s doi: 10.1111/j.1751-8369.2007.00022.x. Wiedmann, Ingrid; Vogedes, Daniel Ludwig. Utforsk UiT!. Åpen dag: Utforsk UiT! - skattejakt app på mobil 2018-09-23 - 2018-09-23 2018. Daase, Malin; Søreide, Janne; Hatlebakk, Maja; Freese, Daniela; Berge, Jørgen; Renaud, Paul; Gabrielsen, Tove M.; Vogedes, Daniel Ludwig. Lipid content in Arctic Calanus: a matter if season and size. Ocean Science Meeting 2016-02-21 - 2016-02-26 2016. Vogedes, Daniel Ludwig; Berge, Jørgen. Marine Night field campaign 2015 - blog. (data) 2015. Daase, Malin; Berge, Jørgen; Renaud, Paul E.; Vogedes, Daniel Ludwig; Heggland, Kristin; Søreide, Janne; Gabrielsen, Tove M.; Falk-Petersen, Stig. Size Matters- Impact of climate change at the base of the Arctic food chain. Gordon Research Conference on Polar Marine Science 2015-03-16 - 2015-03-20 2015. Vogedes, Daniel Ludwig; Berge, Jørgen; Daase, Malin; Johnsen, Geir; Darnis, Gérald; Last, Kim S.; Moline, Mark A.; Renaud, Paul; Leu, Eva; Morata, Nathalie; Gabrielsen, Tove M.; Shunatova, Natalia; Varpe, Øystein; Sørensen, Asgeir Johan; Cottier, Finlo; Weslawski, Jan Marcin; Kuklinski, Piotr; Balazy, Piotr; Nahrgang, Jasmine; Falk-Petersen, Stig. Expect the unexpected - a new perspective and understanding of marine life at high latitudes. Gordon Research Conference and Seminar on Polar Marine Science 2015-03-14 - 2015-03-20 2015. Vogedes, Daniel Ludwig; Berge, Jørgen. Marine Night field campaign 2014 - blog. (data) 2014. Vogedes, Daniel; Berge, Jørgen; Søreide, Janne; Gabrielsen, Tove M.. Mare Incognitum. (data) 2014. Vogedes, Daniel Ludwig; Berge, Jørgen; Eiane, Ketil; Falk-Petersen, Stig. Calanus spp. in the Arctic ecosystem - a story on predation, distribution and methodology. 2014 ISBN 978-82-8266-088-4. Wiedmann, Ingrid; Vogedes, Daniel Ludwig. Blog Young Scientist Forum 2013. (data) 2013. Vogedes, Daniel Ludwig. Svalbard under vann. (data) 2011. 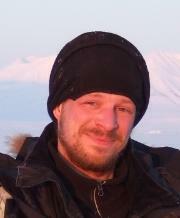 A project financed by the Svalbard environmental fund. A little trip in the underwater world around Svalbard. Svalbard under water from Daniel Vogedes on Vimeo.